This week we bid a fond farewell to our 2 Sketches 4 You Design Spring Design Team. The past 3 months has been a wonderful journey of sharing & pure inspiration as they delivered their fabulous interpretations on the sketches Laura and I created week after week. I loved working with each each one of you and am going to miss you all at 2S4Y but I will continue to follow your paths on your personal blogs as you are all Card Rock Stars in my eyes. Hugs & Love! Doodlecharm's Border Cut was the assignment this week at Bitten by the Bug. I decided to make the cute Fall Leaves border design for my Cookie Presses. I also found this super easy and delicious All-in-One Cookie recipe from Martha Stewart to complete the set. Some of the Design Team members over at Bitten by the Bug are participating in a RAK giveaway on their blogs. I am giving away this Cookie Press set to someone that leaves me a comment on this post ;) Random Org will randomly select a winner on Sunday! If you would like to see who else is giving away goodies hop on over to Marina Vazquez's Blog *wink*. That set is so super cute! So creative!!!! how fun! what a great way to use doodlecharm's border feature and also what a great way to accent the page! I just adore your cards. This card just rocks..
Oh Kazan! How lovely of you to give such an awesome gift away! LOVE your card too girlie...it's very sweet. 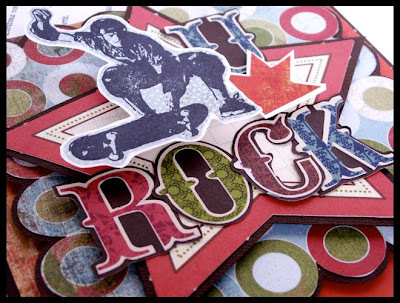 That rock star card is way COOL! GREAT job all around my sweet friend! HUGS! Kazan..you are simply awesome, i really enjoy you creations!! Thank you for sharing your talent. Your cards are amazing. I have never used a cookie press but it looks really cool. Thanks for the awesome giveaway! How sweet is this little press! Super idea...I am going to have to find that receipe. 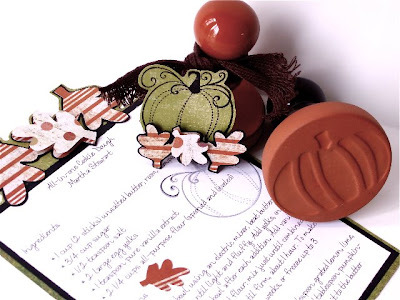 What a great way to decorate your cookie stamp! Thanks for the chance at the blog candy! I love your card. I just recieved this cart and I can't wait to play with it. love the rock star theme. The card is uber fantastic!! The cookie press is precious!! Thanks for the RAK! As always, enjoy popping in over here to see your fab creations. Have a great week! I love the sweet touch of the leaf borders....super cute! Your card for 2S4Y is just so AWESOME! My jaw just dropped this morning when I first saw it! WOWSA!!!!! I love how you used the leaf border...you are so creative, my Friend! Your blog candy is "out of this world!" Your card is fab and I hope to be able to make my card from your sketch this week before I go out of town. Great use of the Doodlecharm's border feature, too. Love your project. Thanks for sharing. This blog hopping is fun! I have never used a cookie press... looks cool... kind of like stamping?? :) Thanks for being such an inspiration!! Very cute cards! Your take on the challenge was too cute! Have to go blog hop some more! I just love what you came up with!! I ALMOST wish it was fall so i could start making cards like those! lovely! What a cute idea! This would make a wonderful Fall kitchen decoration! 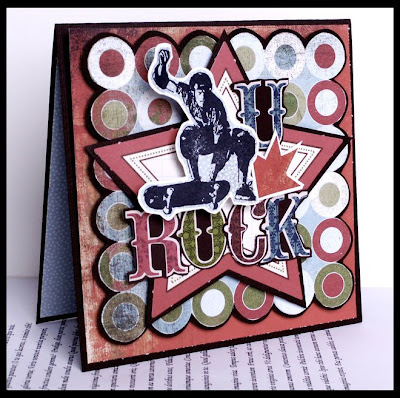 What a fun set Kazan, this blog hop is fun too.....! Wow what a fun Blog Hop! I love your blog & everything you have on it. Nice stuff! I never saw one of these cookie press stamp sets before. How Fun! What an amazing way to decorate! Very creative! I love your blog...just fabulous. Thanks for sharing your wonderful creations. What a great way to present and a recipe! I love it! Kazan, as always, your projects are amazing! Yours is another blog I stop by weekly ... I truly am inspired by your talent! Thanks for what you do! What a great idea. You are so talented! Very creative. Like the leaves border and your use of it. Thank you for offering BBTB RAK, I love all the cards on your site. I love the fall/autumn look! I did a Halloween card for the BBTB challenge! haha! Great card, as always, Kazan. And lovely candy. OMG, I love this idea - this would also make a great Thanksgiving invite card!!! great use of the border feature on the leaves and the colors are perfect - great gift idea as well! What a super fun creative way to use this feature. I adore it. Great idea,now you have me thinking of fall! Love it! Love your blog. Cute cookie stamp and use of the doodlecharm border. Love this set Kazan, not surprising though, because I am always dazzled by your creations. Thanks for the chance to win it. You do such awesome work! The blog hop is such a fun idea! Have a great week! I was trying to figure out if those were stamps or not. A cookie press?! TOO cute! Love looking at your beautiful work! Love the eye candy also! Your cards are cute. I especially love the you rock one. It's so hard to do things for boys. Gosh your style and desins are really different and unique I really admire some of your boldness in a world of similarity! Oh My Your card is `gorgeous` as always Kazan..
Kazan, I love your creations. I look and look at all of them and i am always amazed and mystified as to how you do what you do. I LOOOVE your skate card. The circles are awesome, and I love how masculine it is! Great work as always! Hmm...I left a comment but it never showed up??? So I'll try again. Love your idea for the leafs. Way cute! I'm going to have to revisit my doodlecharms cartridge. LOL. Thanks for the inspiration. I love looking at everyone's beatiful creations! This is great -- thanks for the chance to win -- really cute!! Amazing work as always Kazan! Wow! Your work is beautiful! I am envious! Thanks for sharing! Man, I love this blog hop. So many great ideas. I love your little pumpkin. That would make a really cute napkin holder or place setting too!!! And that's super fun blog candy too. How adorable is that little cookie press.....love your ideas!!! I'm going to dig out my Doodlecharm's and see what I can make. Kazan your cards are too cute! What a wonderful way to dress up a recipe card. Thanks for sharing your amazing creativity with us. I love the snowflake you posted on the 29th. Very beautiful! What a clever gift idea! And such a pretty presentation. Your card rocks, Kazan! this is awesome. I never wanted to be a follower until I found Blogs! You are definitely one to follow! Love the pumpkin press! what darling cards! I love them!